It remains a mystery to me why it took so long for Hollywood to produce a film with an all-Asian cast, but considering the surging inequality in the United States and the growing wealth in Asia, it doesn’t seem as surprising that the film to get that designation was one so focused on Singapore’s wealthy elite. That’s not to say that Crazy Rich Asians is a bad movie — it’s actually quite enjoyable. 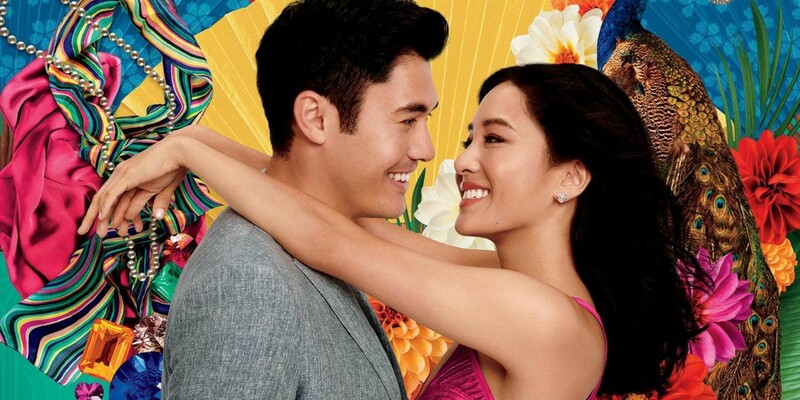 It centers on Rachel Chu (Constance Wu), a Chinese-American economics professor, who discovers her boyfriend, Nick Young (Henry Golding), isn’t the middle-class immigrant he pretends to be, but is actually part of the foremost “old money” family in Singapore. Rachel has to navigate the class, social, and familial dynamics she encounters in Singapore by challenging the traditional views of the older members of Nick’s family, staying strong in the face of those who feel Nick can do better than a middle-class Chinese-American, and ultimately decide if her relationship is worth the burdens she encounters. Out of the large cast, Michelle Yoeh stands out above everyone, playing Nick’s traditional mother brilliantly as she schemes to break up her son and his Chinese-American girlfriend and guide him back to what she sees as his rightful place in Singapore to take over the family business. Rachel’s Singaporean college roommate Peik Lin (Awkwafina) serves as a supportive sidekick throughout Rachel’s time in Singapore, helping her measure up and educating her about what exactly she’s gotten herself into, while always wearing her emotions on her sleeve to humor to the audience. Nick’s cousin, Oliver T’sien (Nico Santos), is a bit more problematic. He’s openly gay within a traditional Singaporean family and becomes quick friends with Rachel and Peik Lin, empathizing with the challenge they face in finding acceptance within Nick’s family. But his character also adopts a number of gay stereotypes and is the person members of the family turn to when they need to procure something through questionable means. However, Oliver is also key to the image being constructed of Asia’s ultra-wealthy throughout the film. When Westerners think of Asia, many continue to associate it with slums, poverty, and backward political systems and social views —a stereotype which Crazy Rich Asians completely dismantles. Singapore’s tourism board must be thrilled at the city’s depiction. Its housing towers and poorer areas are hidden in favour of opulent houses, hotels, and commercial towers — effectively framing it as a modern center of global capital alongside New York, London, and Hong Kong. But it’s not just the city that the comes out looking great. Crazy Rich Asians presents Singapore’s ultra-wealthy as relatable to Western middle-class sensibilities. Nick pretends to be a middle-class New Yorker until having to reveal his extreme wealth to Rachel after they take their seats in first class and claims he sees the money as his parents’, not his own; his cousin Astrid (Gemma Chan) hides her luxury purchases from her solider-turned-entrepreneur husband because she feels ashamed of her consumerist impulses; and even the Asian traditions of older family members feel more like a typical generation gap than a cultural one. Not to mention the progressiveness implied by their indifference to Oliver’s stereotypical flamboyance. The number of billionaire families in Asia is growing, and Singapore is one of the richest and most expensive cities in the world. As Asian finance has become a more important source of funding for Hollywood films, it’s about time that it’s resulting in more Asian representation. However, given the involvement of wealthy individuals at every stage of the film development process, it doesn’t seem surprising that they were finally willing to take the risk of an all-Asian cast on a story that succeeds at making their class seem more relatable as average people are turning against high levels of inequality and Western governments consider banning foreign buyers from real estate markets for pushing up housing prices. Crazy Rich Asians is an entertaining film if you can get past the ostentatious displays of wealth and leave your class interests at the door. The image of Singapore’s wealthy elite and the city-state’s tourism board get a significant boost from the film; and it even has a social-mobility element to feed into the American myth as the Chinese-American lead outsmarts Nick’s mother and her traditions to join the ultra-wealthy for herself. Now that Hollywood’s risk on an all-Asian cast has paid off, I sincerely hope we see more varied Asian stories with actual Asian casts instead of the more common whitewashed leads. I’m not trying to diminish the casting achievement and financial success of Crazy Rich Asians in pointing out how it serves the class interests of the wealthy. As a queer person, I understand importance of representation and how transformative it feels to see people like you on the silver screen — and that’s exactly why I want to see the real Asian experience, not that of Singapore’s richest 0.01%.